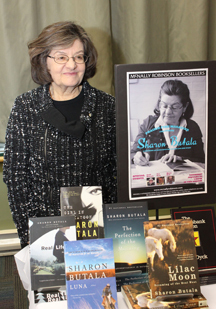 On Thursday, January 24, Prairie Fire Press launched the special Sharon Butala issue at McNally Robinson Booksellers. Guest editor Geoff Hancock spoke about the importance of Sharon Butala’s work and the joy of putting together the issue. Reading at the launch were Sharon herself along with contributors Monty Reid and Ted Dyck.